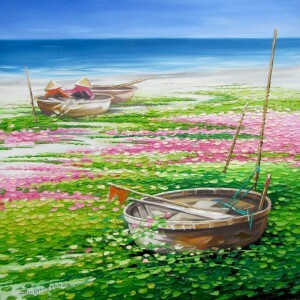 Fishing has been one of the major means of livelihood in Vietnam for many centuries. 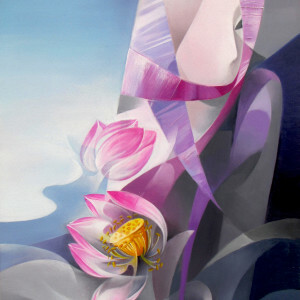 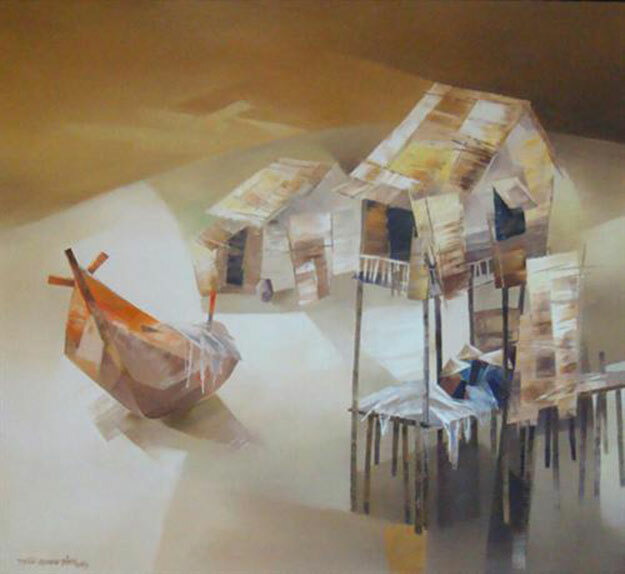 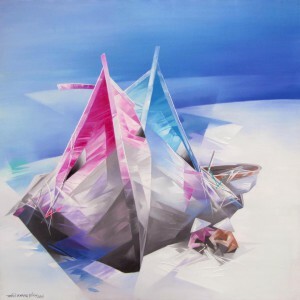 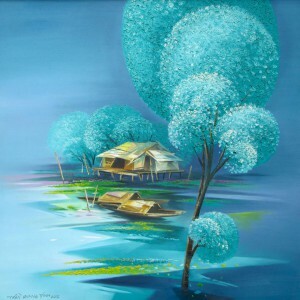 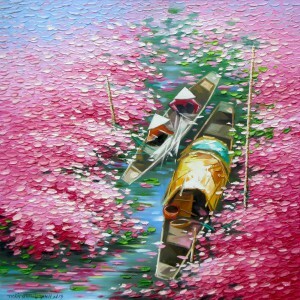 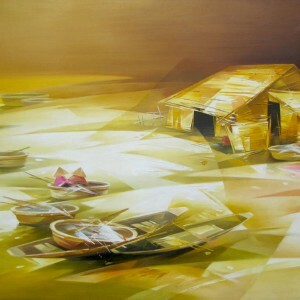 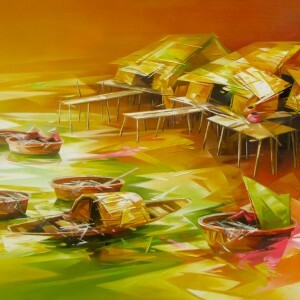 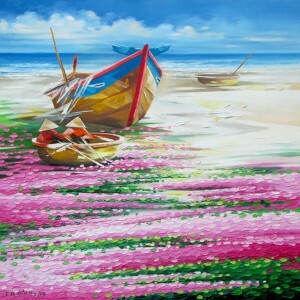 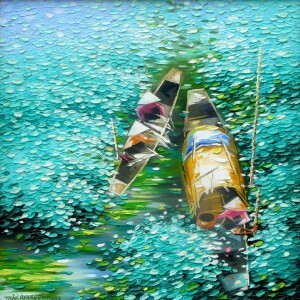 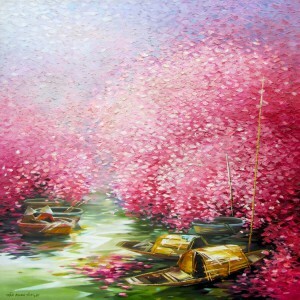 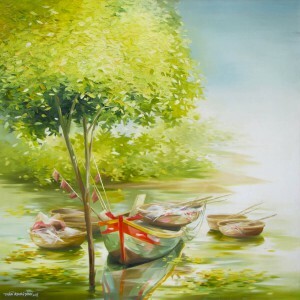 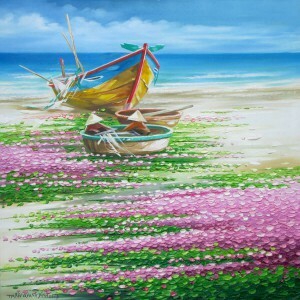 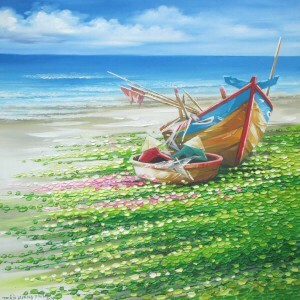 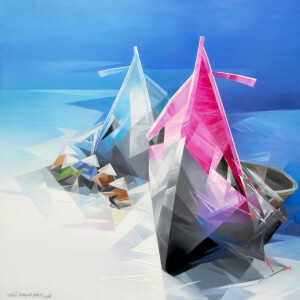 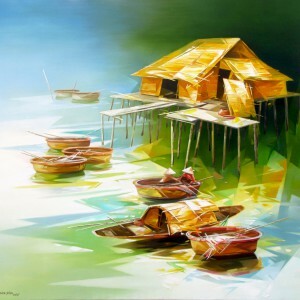 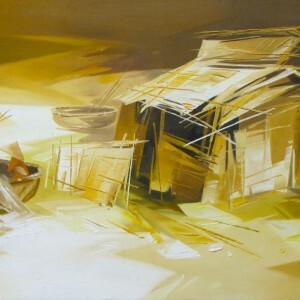 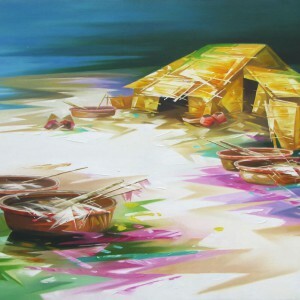 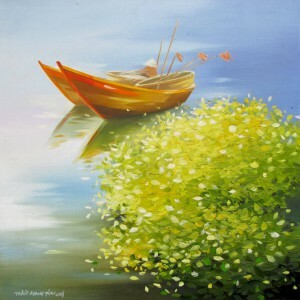 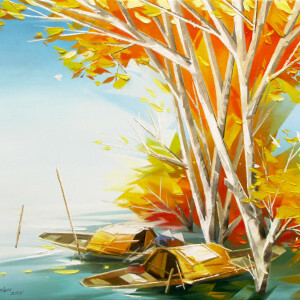 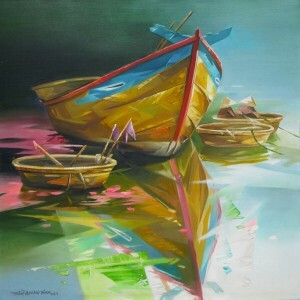 So landscape paintings with a boat and coracles, like this painting by contemporary Asian painter Tran Quang Dinh, is typical for local art. 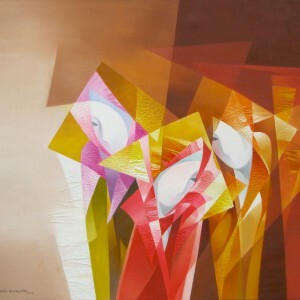 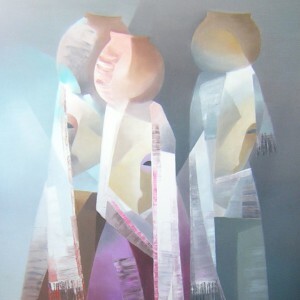 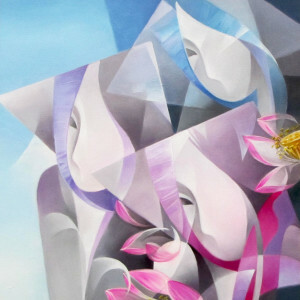 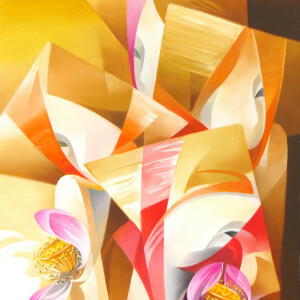 However, this composition demonstrates how traditional motifs can be fused with visual innovations to create fresh contemporary approaches in Asian art.